Nintendo President: Console Obsolesence is "Unthinkable"
Cloud gaming services like OnLive and Gaikai may be the Next Big Thing but Nintendo CEO Satoru Iwata says that for the next few years at least, the demise of conventional gaming hardware is "unthinkable." Cloud-based gaming, which eliminates the need for complex hardware by streaming content to players on the fly from central servers, may not be ready for prime time just yet but it appears to be coming on strong, leading some to warn of (or gleefully predict) the end of the console as we know it. But Iwata, the top dog at Nintendo, believes that while the winds of change are blowing, it'll be a number of years before sweeping change really starts to take hold. "We do not think that the combination of a game system and dedicated software will last forever," he said in a Q&A session with analysts. "However, we do not believe that hardware dedicated to gaming shall [become obsolete and] perish in a few years. I personally think that kind of scenario is unthinkable." 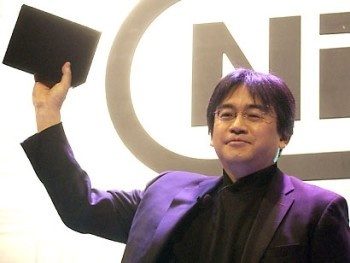 He said Nintendo is dedicated to making "engaging experiences that cannot be available on other devices," noting that the Wii's unique motion controller was "key to game design innovations" on the platform and largely responsible for the popularity of the console and the huge growth of the mainstream gaming audience. "Should we stop what we are doing, the current business configuration with a video game system and dedicated software could become obsolete," he said. "However, as we have been thinking and proposing new ideas one after another, we do not think that it will become obsolete at all."